2015. 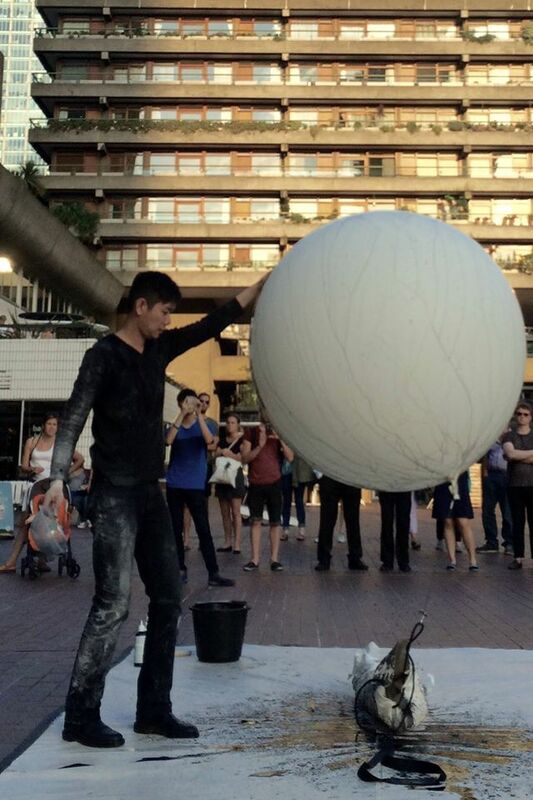 Live art; helium balloon, geological chalk, ink and canvas sack. The seventh installation of the artist's ongoing Path. 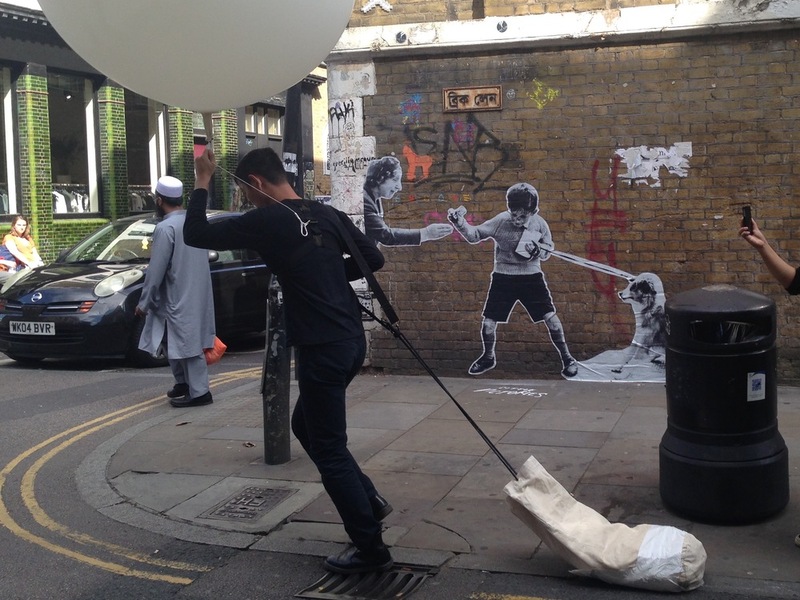 series had Widjaja navigating through London's streets and locales–densely sedimented with migration, settlement and belonging–pulling a sack of lump chalk and a giant balloon. The durational walk was punctuated with multiple unpacking and repacking of the chalk, an embodiment of the migrant's burden of motherland. 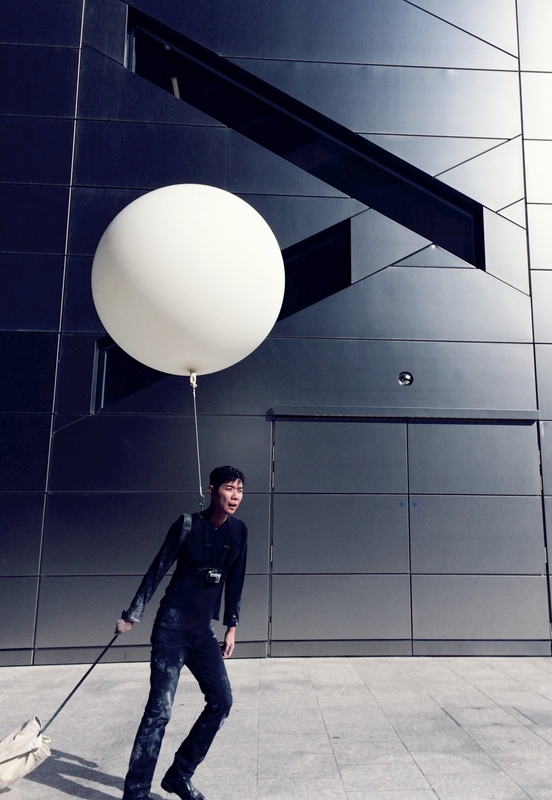 The tug of the floating balloon, amplified in the city's wind tunnels, had a continuous yet unpredictable destabilising effect on the artist. It is akin to the resistance that the artist experiences in rooting himself in his new home. 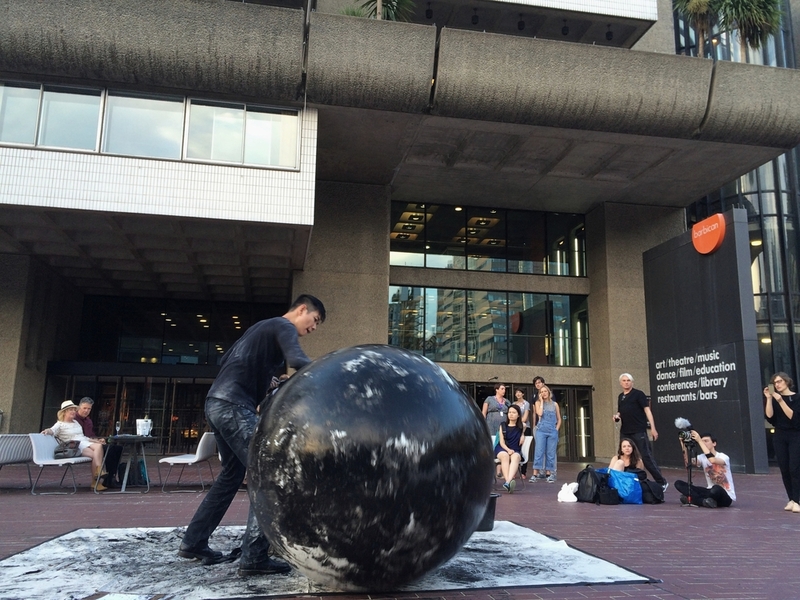 The work culminated with a performance at the Barbican's fountain foyer.